Your project becomes our project, and our impeccable service standards are a critical element of our value proposition. We offer, unrivalled consultation and support from the planning stages, through to post-installation bespoke maintenance programs. Our centrally-located technical support team are highly responsive. We have gained a reputation as the #1 Variable Speed Drvies dedicated technical response team to many global key accounts. ACS Drives and Control Systems team of certified Field Service engineers are the only group of individuals in the Republic of Ireland who are certified to install and commission ABB variable speed drives. 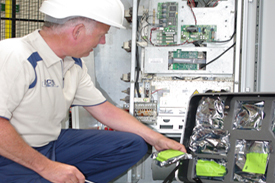 From new applications to retrofitting inverters in existing applications, we can offer a complete solution from supply to the commissioning stage. Our engineers will store all start up and commissioning data where possible and can provide a copy to our clients when requested. ACS Drives can provide a complete “before and after” energy survey to our customers in conjunction with our hire VSD concept. This offers our customers the opportunity to remove any ambiguity or guesswork from their decision making process and establish any cost savings or process improvements installing a VSD may offer. In some cases this survey can be treated as a refundable cost. Please contact us for more details. 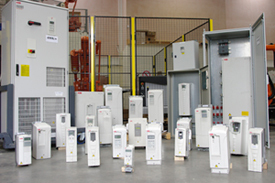 At ACS Drives and Control Systems we believe in assisting our clients to more efficiently manage their installed base of variable speed drives in order to reach your goal of an extremely efficient process and also to provide clarity on your existing assets. From the VSDs Active to Obsolete phase, we can provide a highly comprehensive lifecycle report and include recommendations concerning your processes efficiency. Lifecycle audits will ineveitably lelp to extend product life and minimise disruption in the process. We recognise the need for our customers to be able to make informed decisions when deciding on capital and operational expenditure in todays financial climate. 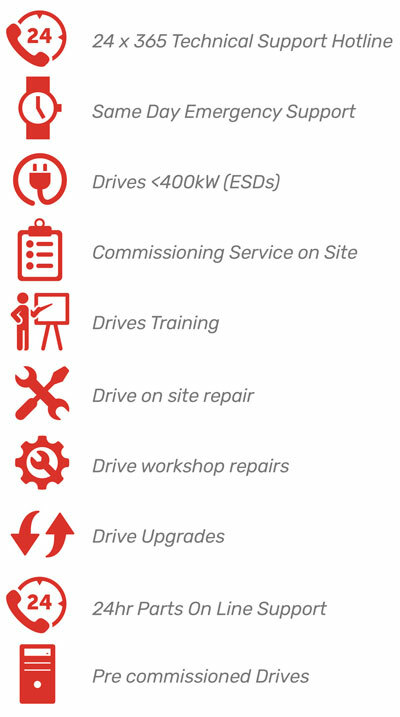 Our hire VSD offers our customers the chance to save, in short term projects, on capital expenditure whilst still benefitting from the process improvements and energy savings a VSD can offer. We hold a complete range of hire VSDs from 1.1Kw to 400Kw. Please contact us for further information.